There’s nothing quite like Final Fantasy XI. Nor is there anything quite like Final Fantasy XIV. The two are similar enough that you can use one as a substitute for the other in a pinch, but both possess a certain feel that just isn’t found in any other game. That’s neither good nor bad; it just is. Watching the trailer for Seekers of Adoulin gave me a powerful blast of Final Fantasy XI nostalgia, and while I could wax poetic about how the game I remember isn’t the game that exists any longer, that’s not really the point. The point is that for all the frustrations of the games, there’s a lot of joy in both. 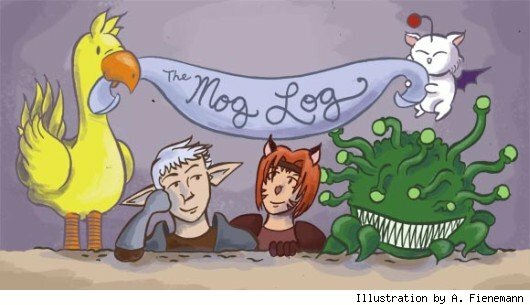 So today I just plucked my top five memories from both FFXI and Final Fantasy XIV to share with you, since I bet that some of you have the same sort of glowing nostalgia. Even if you don’t want the good old days to come back (I sure don’t), you can still remember them with a smile. 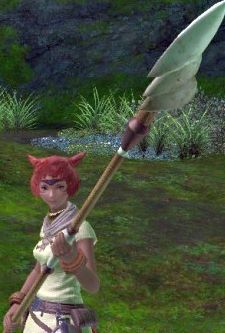 Subjobs are a core feature of FFXI, but you can’t pick them up until level 18, and even then it’s a pretty involved process to grab one, necessitating some difficult kills that you can’t solo at that level. It was even harder to take care of a subjob if you were trying to do the quest close to launch, with no one yet entirely clear on how the game’s many systems worked or exactly what was expected in parties. You know, like I was doing. I can vividly remember the first time I made the trek to Selbina, dodging Goblins and wondering how in the world anyone knew where to run safely. 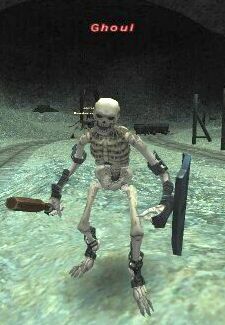 I remember darting in and out of the gate to skirt the undead and beastmen, pulling crabs and flies in the hopes that they would drop those needed items, then hauling over to Gusgen for more reliable chances at a Magicked Skull. I can’t imagine sitting through that sort of irritation ever again, and by the time it was done, I was more than a little annoyed, but I had a sense of real power for the first time in the game. Part of my fond memories of clearing the Thousand Maws of Toto-Rak for the first time come from the roleplaying going on at the time, which wound up having a long-term impact on my character. But a lot of those memories just come from how neat the dungeon was, how it was the first thing in FFXIV that was very distinct from its predecessor while still being really neat. Dying to insect swarms sucked, but when you understood how the counterattacks came from weapon skills, it became acceptable. Creeping through, carefully powering on gates, making our way to the central chamber… it was almost an afterthought that I didn’t get anything useful from the dungeon on that run, nor on several subsequent runs. I just loved the look and the flavor of the region, and I walked away always happy to take another trip. There was an electricity in the air on the night that Treasures of Aht Urhgan launched, and I don’t think it’s any surprise that part of why it’s my favorite expansion is the sheer sense of community on that first evening. Actually arriving in the new city was almost dizzying; there was so much to see and do right from the start, so many places that struck me instantly as beautiful and mesmerizing. I was in love from the moment the ship docked after its 20-minute journey. The funny thing is that I don’t remember actually doing much during my first trip. I bound there for transport purposes and checked out the area, but I didn’t actually do the various advanced job quests until the next night. (Corsair still stands out in my memory as having been pointlessly annoying to unlock.) I may not have even stepped out of the city limits! But I still remember the trip there and stepping onto the docks with astonishing clarity. Life is funny like that. For those of you who didn’t play the game or just don’t remember, I’ll point out that back in the day, the harpoon was a lower-tier spear that was not particularly impressive or desirable. It was the sort of weapon you use briefly and then discard. But for me, it was a weapon that took quite a bit of work to get because I had most of the necessary crafts and I was determined to make one for myself instead of asking for help. That meant a whole lot of other work just to get the ingredients and try — at first unsuccessfully — to make some of the ornate supporting parts like clips. Was it needlessly complicated? Yes. There’s no good reason any crafting system should require so much rigamarole for a low-level item. But it also got me firmly invested in the game. When I finally grabbed that simple little poking stick, I couldn’t have been happier because it was all mine. I still have it tucked away in my inventory, just for nostalgia and long-standing affection. You might never be worth equipping again, but you’re still my first spear. I don’t know if I’d say that Dragoon is the most annoying advanced job to release; hunting weather for Summoner is pretty obnoxious. So was dealing with stupid leeches for Ninja. And let’s not forget what I just said about Corsair. But Dragoon was a rough one, and I remember unlocking it vividly because I was in a race against time. I was about to go on winter break from college, and at the time, I had people lined up to help me, but I didn’t have an internet connection at home. So I had to race to get everything ready, struggle to level up in time, and then get everything scheduled so that I could get my wyvern before I was out of time. I remember having been annoyed by the idea of having a wyvern before I saw him, but when I sat down and saw him curl up next to me, I fell for the little guy. It felt like a major accomplishment. In hindsight, it wasn’t. The fight is pretty easy when you pass a certain level, and it’s not like Dragoon is some godlike class… but I still look back on that and smile.